For sale: Historic church. Prime Mount Vernon location. Needs repair. Features: 750-seat sanctuary, baptismal pool and scaffolding many neighbors have long considered an eyesore. 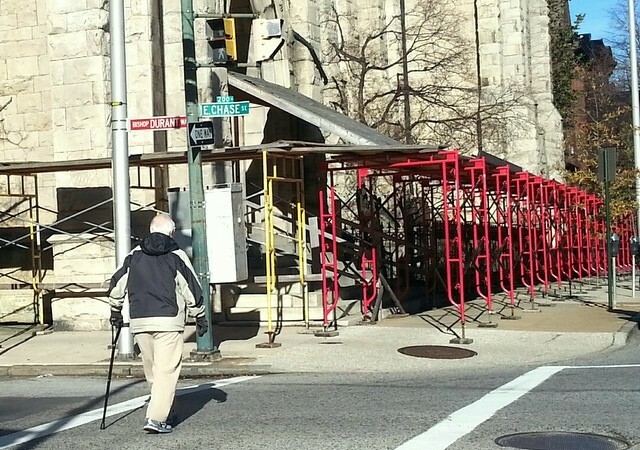 Six years after the city first erected the scaffolding around the New Refuge Deliverance Cathedral to protect pedestrians from falling roof shingles, the Mount Vernon landmark has been put up for sale. An attorney working with the church’s owner told members of the Mount Vernon-Belvedere Association this week that the building at 1110 St. Paul Street has been listed with RE/MAX Commercial Logic for $1.395 million. Gary Brooks, the attorney, said the church’s owner can’t afford to repair the building to satisfy city building code violation notices and has decided to sell it and use the proceeds to buy another property that is more manageable. For the church’s neighbors, it was encouraging news. “The church has not maintained the property for most of the time they have been there,” said David Egan, who bought the church’s former parish house next door and operates it as a wedding and events venue. Egan said the dilapidated building, peeling paint and unattractive sidewalk-level scaffolding have hurt his business, but added that the underlying structure could be a neighborhood asset. Speaking for the owner, Archbishop Naomi DuRant, Brooks said the church seats 750 people, more space than the New Refuge congregation needs. DuRant would like to find a smaller building that is accessible to the disabled and has a good air conditioning system, where she can continue her ministry. Brooks said DuRant has been in poor health and is confined to a wheelchair, and that her son-in-law is the church’s co-minister. DuRant could not be reached after the meeting. Brooks said after his presentation that the Pentecostal congregation will continue to hold services inside the building while it is on the market. He said the owner does not have a mortgage on the church, so the bulk of the proceeds could be used to buy another property. The sale follows years of complaints by Mount Vernon residents and business owners about the deteriorated condition of the property, which was built from 1870 to 1872 in a Gothic Revival style, with Romanesque traces. 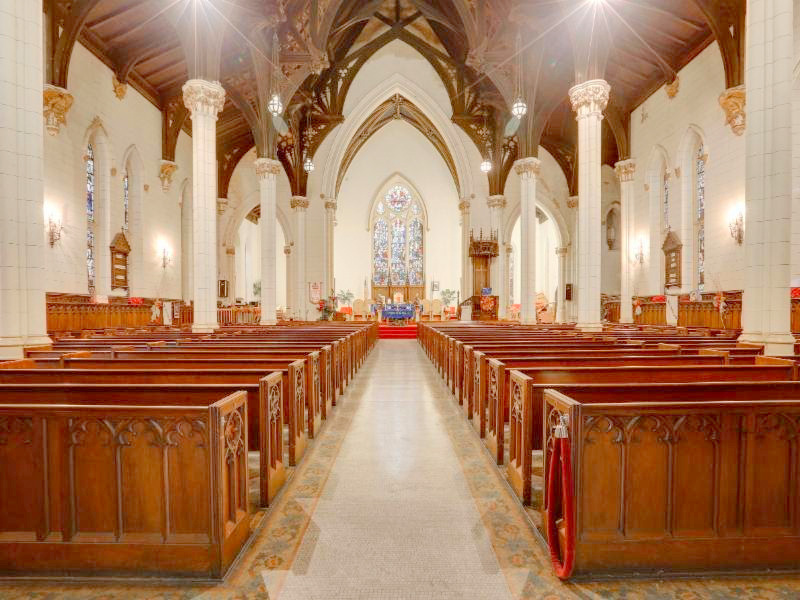 The architects were E. Francis Baldwin, best known as the designer of Mount Royal Station, Mount Clare Roundhouse and St. Mary’s Seminary, and Bruce Price, father of etiquette guru Emily Post. Featuring a soaring bell tower and round stained glass windows, the building was originally known as Christ Protestant Episcopal Church, later just Christ Church. It was sold to New Refuge in 1994 after Christ Church ceased operations. Douglas R. Kington, the real estate broker representing the property along with RE/MAX Commercial managing director Wendy Blair, said the listing agreement was signed in November but there wasn’t much activity between Thanksgiving and New Year’s. He said his office is now making a strong push to spread the word about the sale and show the property to prospective buyers. The zoning is OR-2, which would allow residences or commercial space as well as a church. According to the listing, the church seats 750 on the main level and another 50 in its balcony. The lot size is 12,153 square feet, or about a quarter of an acre. Besides the main sanctuary, the property has offices, a baptismal pool and a dining room with a prep kitchen. Because the building is in the Mount Vernon historic district, any changes to the exterior would have to be approved by the city’s preservation commission, which makes demolition unlikely. Kington said he said he didn’t think the building was ideal for conversion to condominium residences because the sanctuary is very large and has such high ceilings that it would be expensive to adapt. 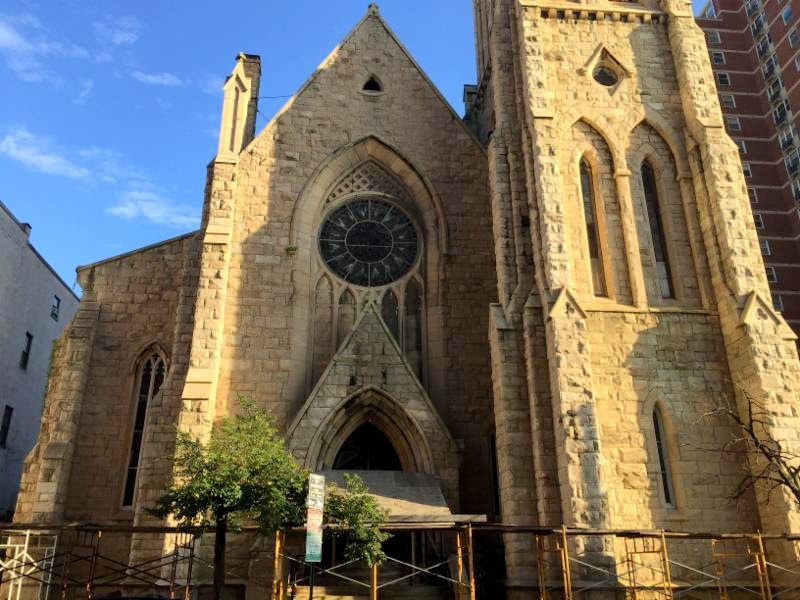 The listing makes New Refuge the second major church in Mount Vernon to go up for sale in the last six months, after the Mount Vernon Place United Methodist Church at 10 East Mount Vernon Place. At the community meeting, reaction to the New Refuge listing was positive. Wesley Stuckey, vice president of the neighborhood association, said he can think of many creative uses for the church. During a recent service, the church had fewer than 100 people in attendance. Brooks said he didn’t know how many active members it has. Signs of deterioration at the building are easy to spot. In addition to missing roof shingles, there are missing cornice pieces and missing glass in windows. Window frames are down to the bare wood. City officials have tried various ways over the years to get the church to repair its property, including issuing building code violation notices. In 2013, the housing department erected scaffolding around the base of the building to shield pedestrians from falling slate shingles and billed the church for it. 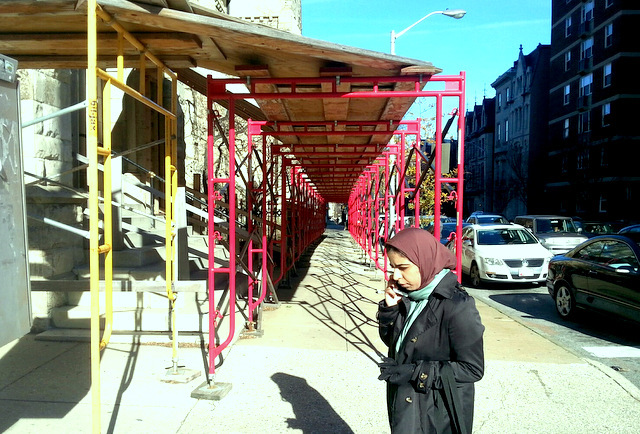 Brooks said the church paid the city $32,000 and now owns the scaffolding, but has been unable to pay for repair work. Most recently, Brooks said, the city’s Environmental Control Board sent a series of fines to the church for failure to abate the original violations. He said each fine was $900, and the church at one point owed $45,000. He said he was able to convince the city to accept a lower amount, if the church would agree to put the property up for sale. Brooks said he advised the church leaders to consider a sale because the city has the authority to take other steps to get fines paid, such as putting the church on the annual tax lien sale or going to court and putting the church in receivership. He said receivership would allow the city to replace the church as owner, and city officials so far have held off on taking that step. Brooks said church leaders have asked that a “for sale” sign not be placed on the exterior of the building, so members won’t think it is closing and stop coming to church. He and Kington encouraged Mount Vernon-Belvedere members to alert potential buyers they may know.